The last time a global survey was attempted, an estimated 100 million people were homeless worldwide (United Nations in 2005) and as many as 1.6 billion people lacked adequate housing (Habitat, 2015). The causes of homelessness are widely varied, as are the needs of those who are impacted by the lack of adequate housing. It’s easy to feel overwhelmed and arrested when contemplating what our response should be in the face of homelessness. From all accounts by those who knew her best, Nonni quietly got on with the business of loving people. “Our church had an outreach program for the homeless,” Mariann Ingrasci, Nonni’s youngest child, remembers witnessing firsthand her mother’s heart for the homeless. “Even though Nonni didn’t have much she was driven to join and help with that program.” As a single mother raising four kids on her own, she wasn’t able to donate money. However, she was famous in her community for her Bolognese sauce recipe. Nonni’s sauce was the best of the best. You didn’t have to be homeless for Nonni to pour her radical love over you. “Let me tell you a story about Nonni,” Judy Cibene, founder of The Nonni Project, says about the lady that would become her mother-in-law. The selflessness of this great lady became the namesake and inspiration behind The Nonni Project: a global movement of love for those without adequate housing. The Nonni Project gives would-be participants easy to follow steps on how to provide for some of the material needs as well as the spiritual needs of their local homeless communities. By packing and distributing ‘Nonni Bags,’ participants become active parts of The Nonni Project movement. 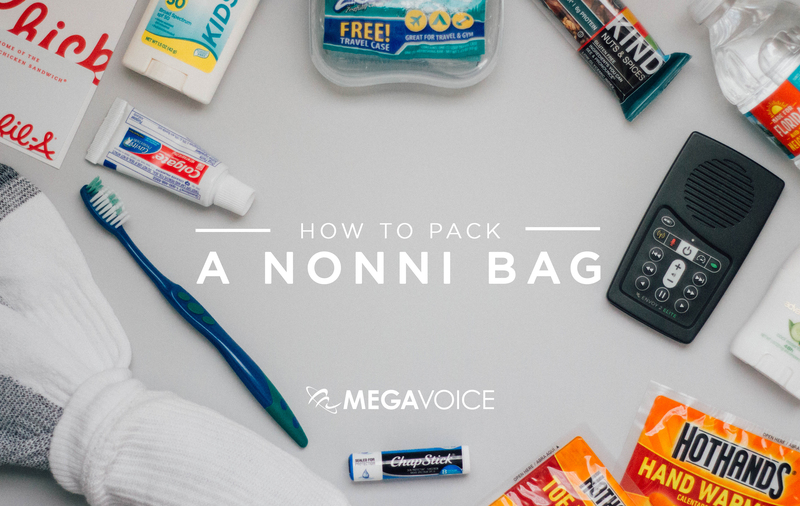 Watch the video below to learn how to pack a ‘Nonni Bag’. MegaVoice players have been proven to maximize the ministry of believers all over the globe. And often they are portrayed in remote, far-off places. But The Nonni Project looks to use MegaVoice players in urban homeless ministry and has done so with great success. Because they are solar powered, individuals with sporadic access to electricity can still access their Bible, a powerful LED flashlight, and the radio. In the event of inclement weather, this access to the radio can be the difference between life and death. As of this month, MegaVoice has teamed up with Streetlights – the world’s first urban audio Bible. From Matthew to Revelation – poets, pastors, parents and even children have read Scripture aloud over a hip-hop score so that anyone and everyone can understand and internalize God’s Word. Available online and via the free Streetlights app, this dynamic, engaging audio can now be loaded onto MegaVoice players, transforming ministry to urban English speakers. 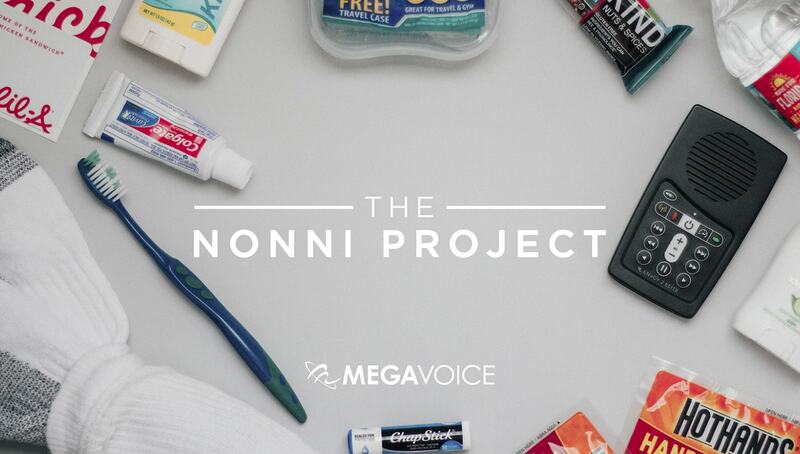 Singapore to San Diego, Jakarta to Jacksonville – no matter where your community sits on the globe, you can join The Nonni Project by using MegaVoice players to maximize your homeless ministry.